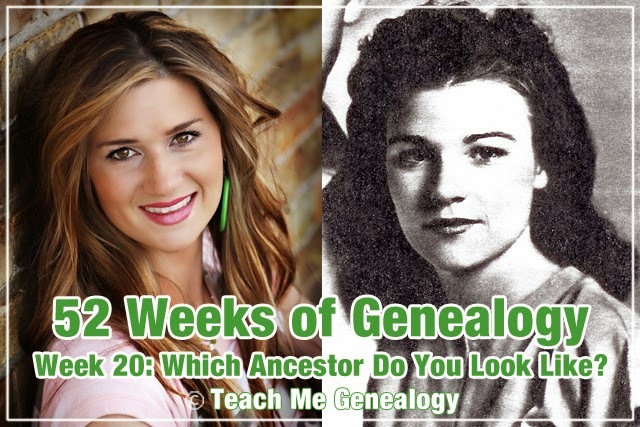 52 Weeks of Genealogy - Week 20 - Which Ancestors Do You Look Like? This week, start looking through those old pictures of your ancestors. Look closely at their facial features to see if any look like you. I came across a photo of my grand aunt, Catherine Johnson with some of my features, more than any other ancestors. What similar features do you both have? Have you seen these similar features found in other relatives? Have these stopped? I am only finding up to week 20.